We’re excited to announce the 400,000+ high-resolution photos on Unsplash are now available in Medium. If you’re writing a story on Medium and you want to add a photo, simply click the search icon and select the photo you want. After you pick a photo, the photo credit links to the photographer will appear automatically. 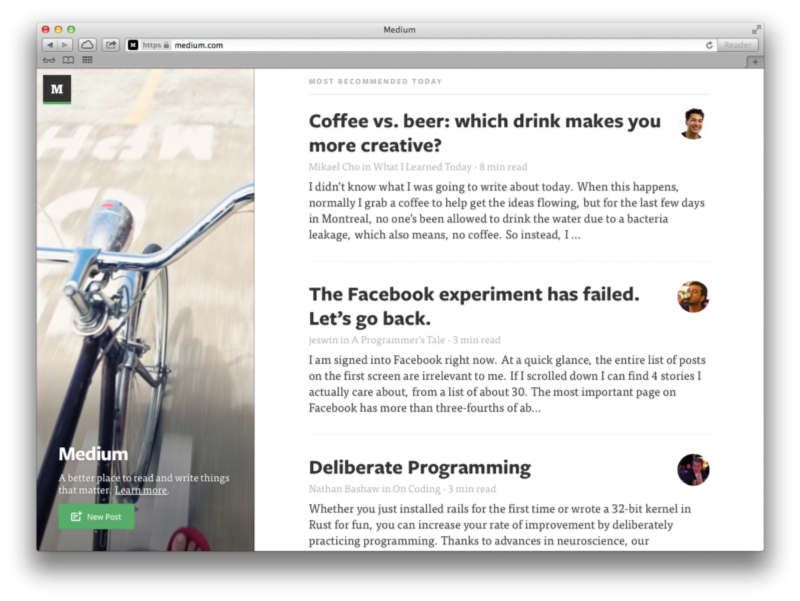 Also, the team at Medium has taken the extra care to re-size photos so they fit perfectly in the layout of your story. This partnership with Medium holds special meaning for me and the Unsplash team. Six years ago, I heard about a new website called Medium from former Twitter Founder/CEO Ev Williams. Back then, Medium.com was just this one webpage. I had no idea what it was going to be but, I knew it was run by Ev, and he had a history of making world-changing products. I signed up. 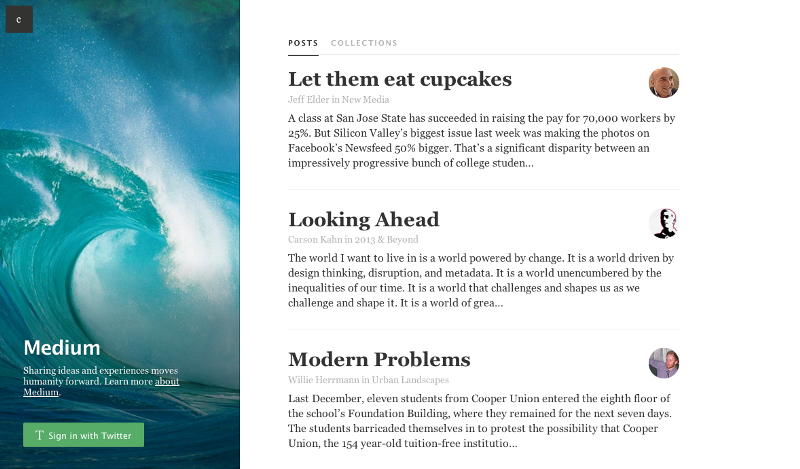 A few months later, an early version of Medium was shown to the world: A place to share ideas and experiences to move humanity forward. Then, Medium opened up access for members to write and I got my invite. I felt intimidated. The writing on Medium was so good, I wasn’t sure I could write something worthy of the platform. Under self-imposed pressure, I thought about having a coffee or a beer to spark some inspiration. 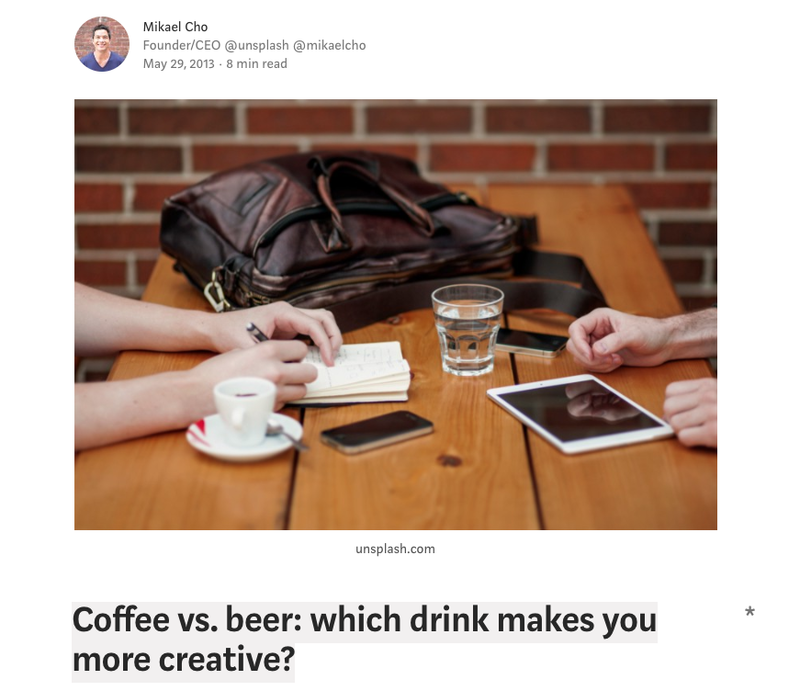 After a while, I realized I couldn’t think about anything better to write about than this coffee or beer drink decision so I said screw it, and wrote about that. I didn’t have much of an audience and I didn’t know how many people would be interested in my story. So I didn’t expect much. But then, my story became the most recommended story on Medium. I was freaking out. Building an audience is supposed to take months or years yet, Medium brought an audience for my writing in an instant. Knowing people cared about what I had to say gave me the motivation to focus on writing for the first time in my life. That year, I wrote a story every week on Medium. Today, I’ve published 63 stories that have been read 475,000 times. Apart from Medium bringing an audience to my stories and photos on Unsplash, it seemed like Unsplash became useful for writers on Medium. I began to see Unsplash photos accompany many Medium stories. Even to this day, many of the recommended stories on Medium have Unsplash photos in them. Unsplash was recommended by the Medium design team and even provided the photography for the homepage of Medium at one point. As a frequent writer and reader of the Medium community, I always felt there was a the potential for a relationship between Medium and Unsplash someday. The two just fit too well together. 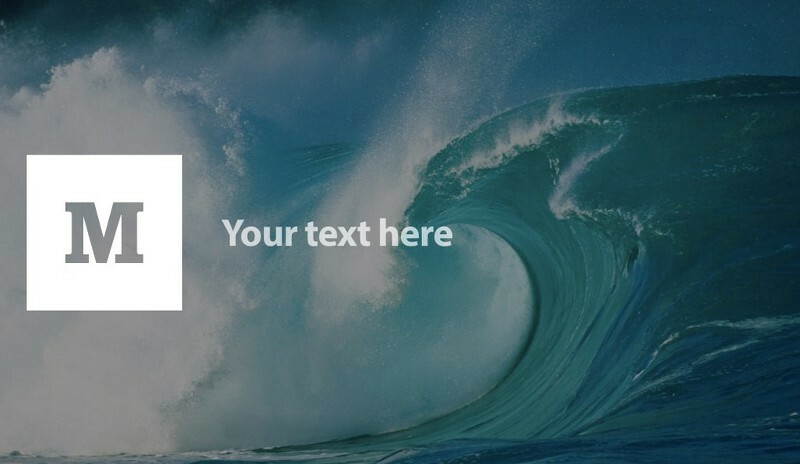 This is why I am so excited for today’s Medium + Unsplash partnership. Medium is the most inspiring writing and reading platform I’ve ever been part of. It plays a meaningful role in moving many ideas forward no matter where those ideas come from. My hope is we can help play a role in moving these ideas forward by adding an impactful visual component to them. Medium is a megaphone for ideas. And my hope is Unsplash can help turn up the volume even more. I’m honored to have the opportunity to partner with a community, product, and team as wonderful as Medium’s. Here’s to moving ideas and photography forward. Thanks to Stephanie Liverani, Luke Chesser, and Andrew Neel.